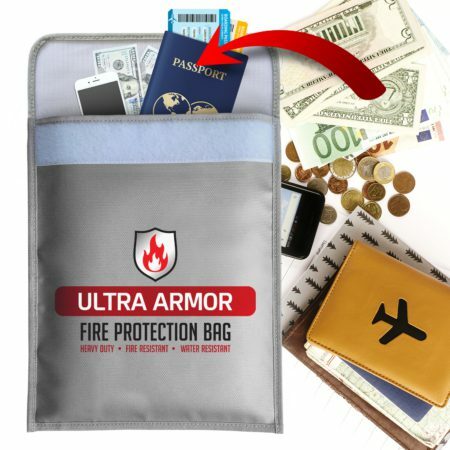 Fireproof Document Bag a Perfect Safe Accessory offering your valuables a second layer of protection in the event of a fire. The large (15″ x 11″) bag offers enough space to store your legal document files, passport, cash, coins, jewelry, licenses, photos, laptop, certificates and other valuables. 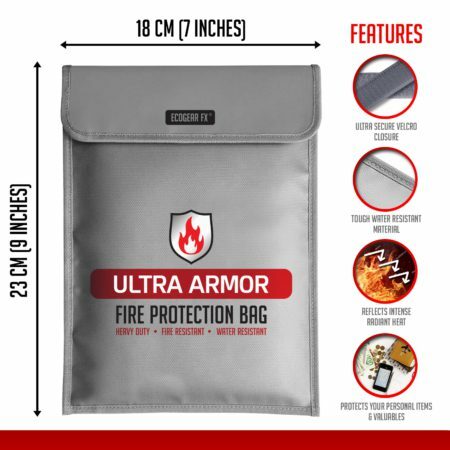 The Ultra Armor Fireproof Bags are perfect safe accessories offering your valuables a second layer of protection in the event of a fire. The large (15″ x 11″) bag offers enough space to store your legal document files, passport, cash, coins, jewelry, licenses, photos, laptop, certificates and other valuables. 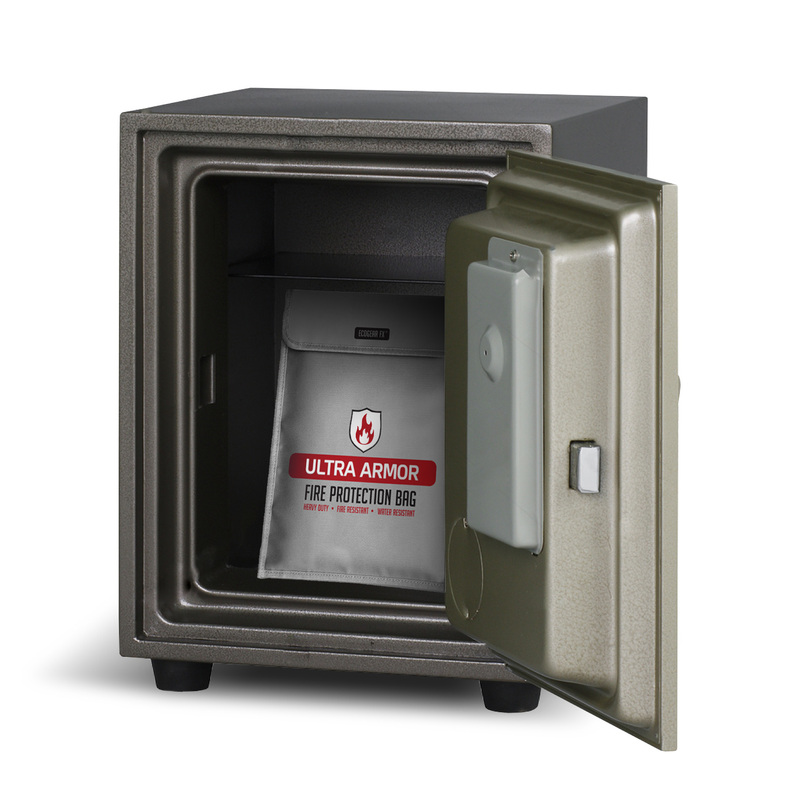 NOTE: Using a combination of solutions such as a fireproof bags and a SAFE together can offer the best protection for your personal belongings. 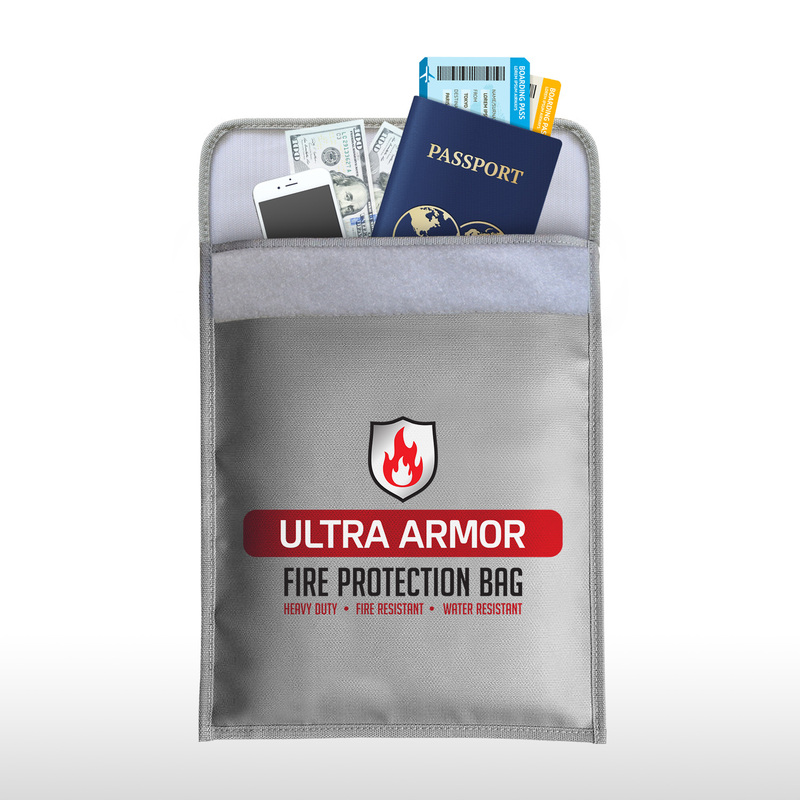 Paper can still get carbonized within any fire resistant material after lengthy exposure to high temperatures. 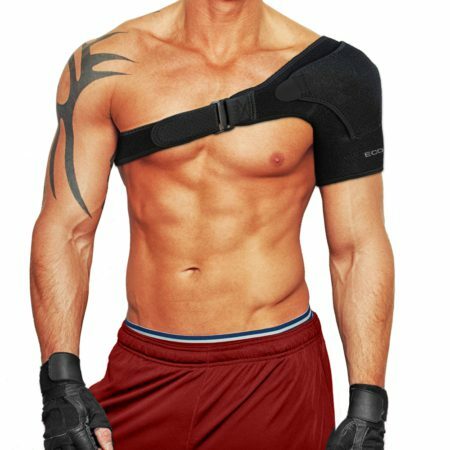 STANDS UP TO FIRE AND HEAT of 1000 ℉(550 ℃) – Made of super high quality fireproof fiberglass, 100% fire resistant guarantee! 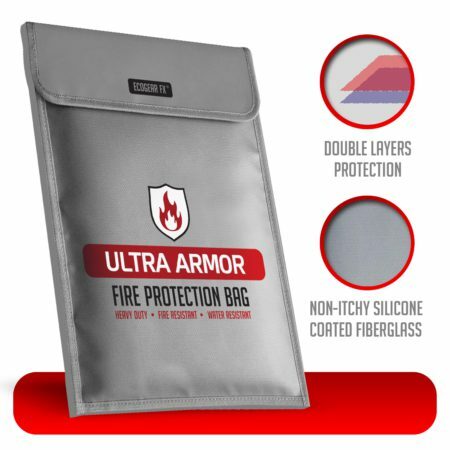 NON-ITCHY SILICONE COATED FIBERGLASS – Fiberglass is a great fire resistant material, but if any of you have ever handled fiberglass or some of the other bags out there, you know it can get into your skin and be awfully itchy or irritating. 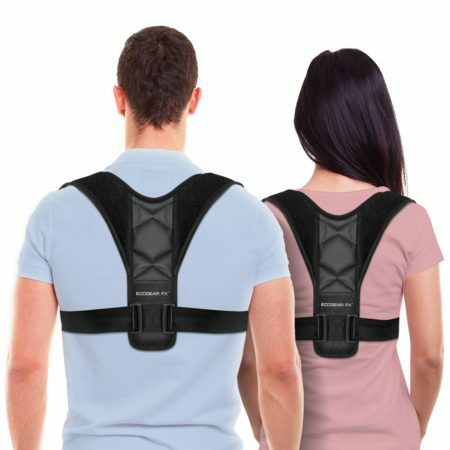 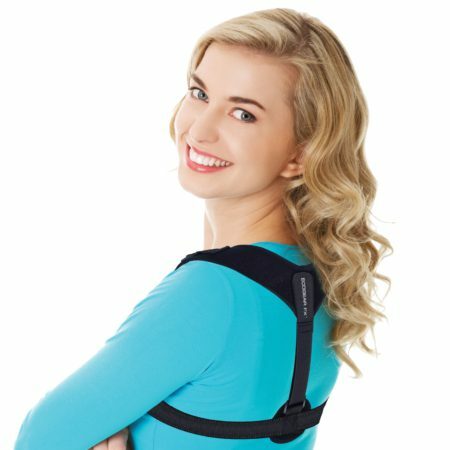 Our bag is featured with a silicone covering so that we could get the same fire protection but without any glass fiber annoy. NON-ITCHY SILICONE COATED FIBERGLASS – No need to worry about splinters or irritation as found on other fire resistant bags. The EcoGear FX fire resistant bags are perfect safe accessories and are constructed with ultra-high quality silicone coated fireproof fiberglass. 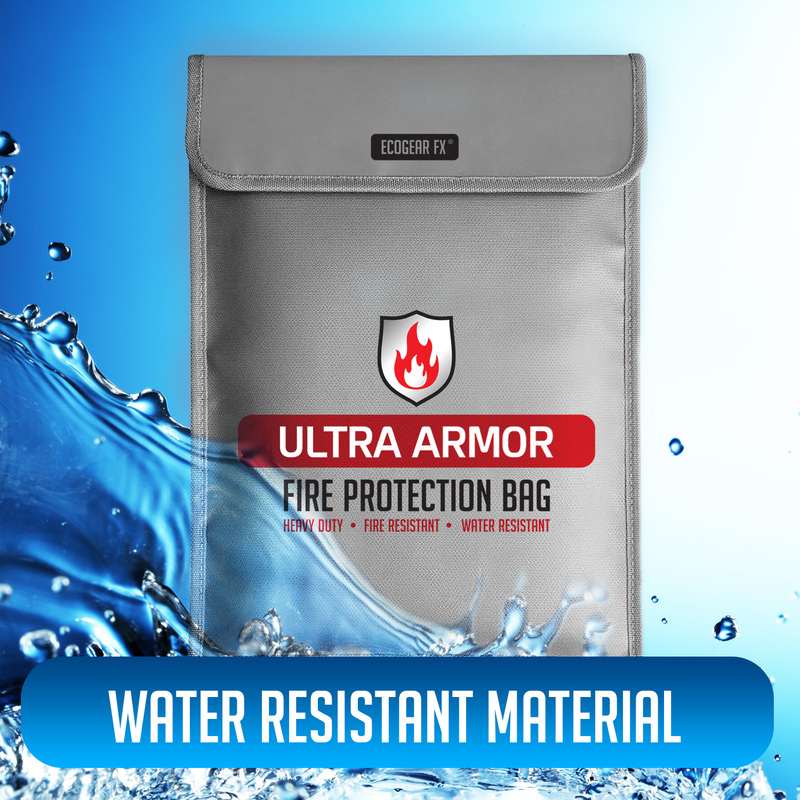 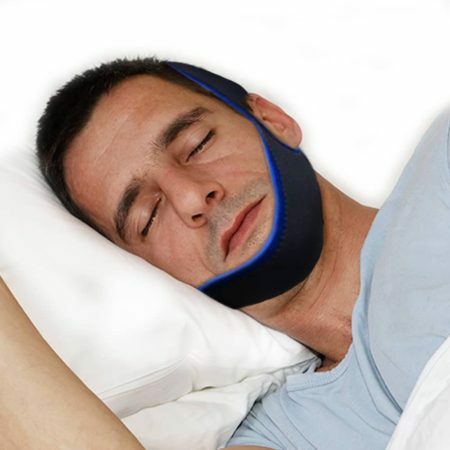 DOUBLE LAYER PROTECTION – Manufactured using 2 layers which are made of an ultra-fire retardant fiberglass material. 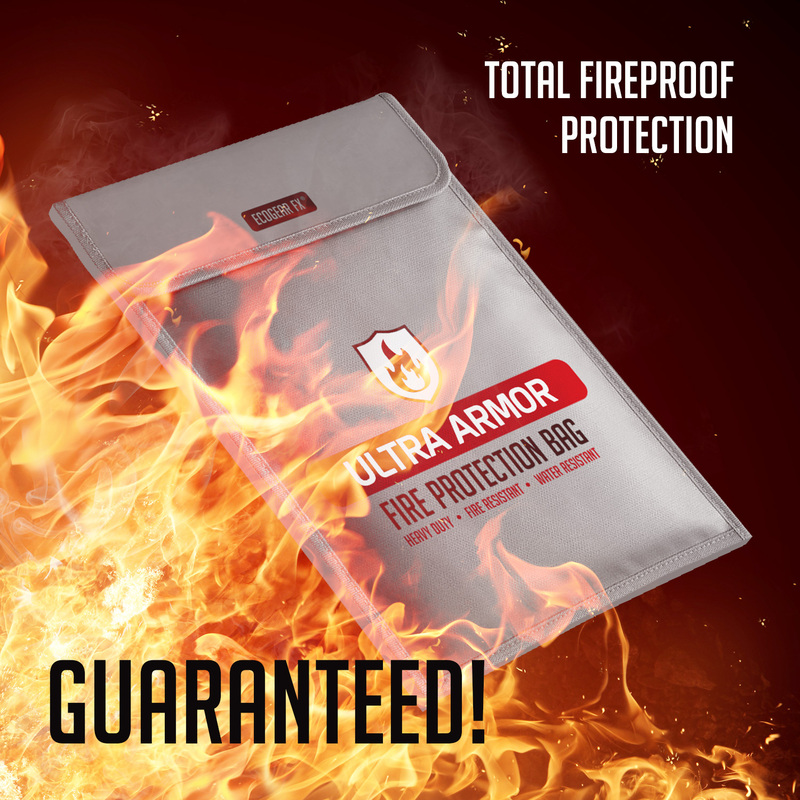 The fire proof bag can withstand fire and heat reaching up to 1100 ℉ (593 ℃). LARGE SIZE (15″ x 11″) – Providing plenty of storage space for your legal documents, passport, cash, coins, jewelry, licenses, photos, laptop, certificates and other valuables. WATER RESISTANT – Not only do the Ultra Armor fireproof document bags withstand fire, but the highly water-resistant material offers protection should the bag come in contact with water.